Fitting in equally with Toronto’s apparent new wave (but not New Wave) of shoegaze bands and the recent realization of post-post-punk revival (can we just call them post-punk?) groups that seem to be popping up widely across the western world (and thus the Venn diagram of circles interested in hearing those forms collide), Program builds songs by methodically magnifying the impact of their smaller elements. They start small, arresting a bar for your initial consideration, and then inflating it with chord variations, pedal effects, and the addition of complimentary instrumental parts – all until they’ve arrived at a lapping, atmospheric wall of sound with plenty of introspective appeal. Playing the generously cavernous and frankly underused space at the back of The Garrison, Program played to a relatively small (albeit captivated) audience on June 12, but the poor turnout wasn’t all a bad omen for the group; the thinned crowd just seemed to allow the delay-heavy guitar, keyboard and bass sounds that Program relies on a new, more physical route to warp-echoing their way into infinity. 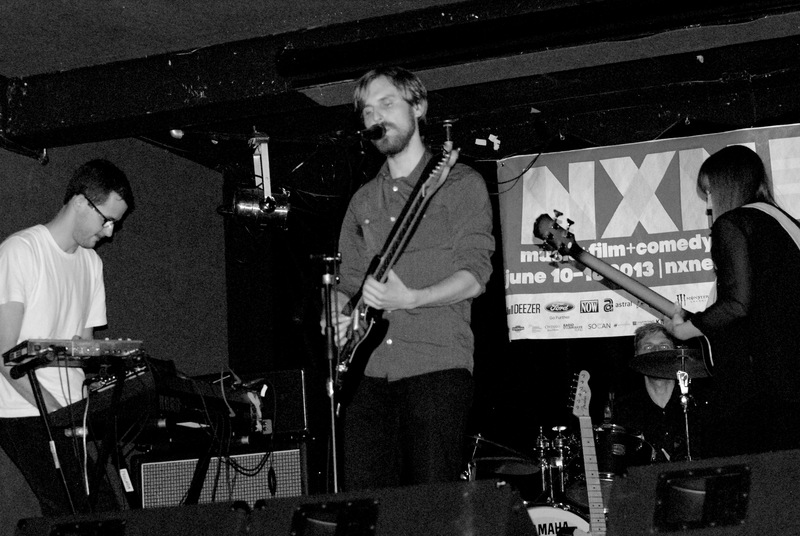 This entry was posted in Burden of Salt and tagged North by Northeast, NXNE, post-punk, post-punk revival, Program, shoegaze, The Garrison on June 13, 2013 by Tom Beedham.